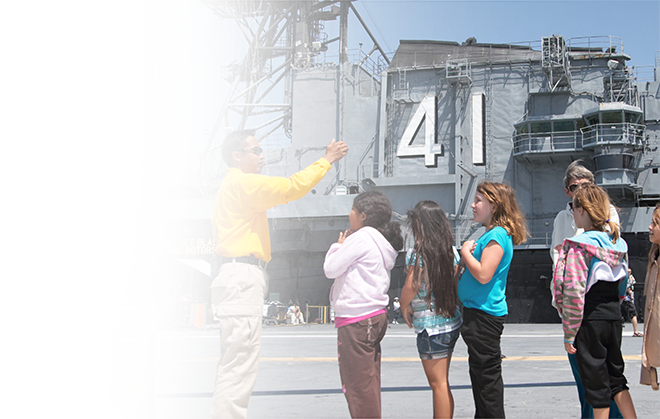 Docent tours are an exciting and educational way to give guests firsthand experience on what it was like to serve on an aircraft carrier. These popular storytelling docents, Midway’s tour guides in iconic yellow hats, can provide a unique dimension of Midway history. Eight specific sites are available for behind-the-scenes touring. Two people enter a state-of-the-art virtual reality full-motion simulator for a WWII dog-fighting adventure! Four “pods” are available at two people per pod for a two minute pulse-pounding aerial combat ride, where the riders control all the action. Full barrel rolls and complete aerial loops are possible as you evade the enemy fighter. The Battle of Midway Theater and exhibit features “Six Minutes That Changed the World”, a 15-minutes, high-definition multimedia film that stars the American heroes who turned the tide of World war II in the Pacific with their courage, commitment, and devotion to duty. The Theater and exhibit features meticulously restored aircraft, a SBD Dauntless and Wildcat, that won the Battle of Midway, informative displays, and interactive videos that carry visitors to a time in 1942 when the outcome of the war was far from certain. Capacity of 90 guests. Available for an additional fee for a two-hour minimum. Groups may provide their own photographer or photography company. 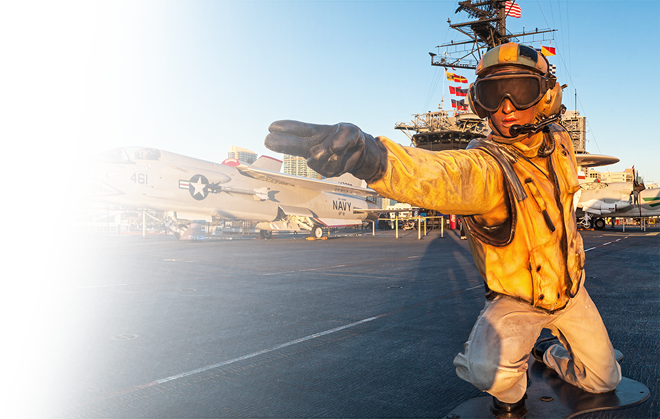 The Midway’s Photo Center is open during museum hours 10 AM – 5 PM. 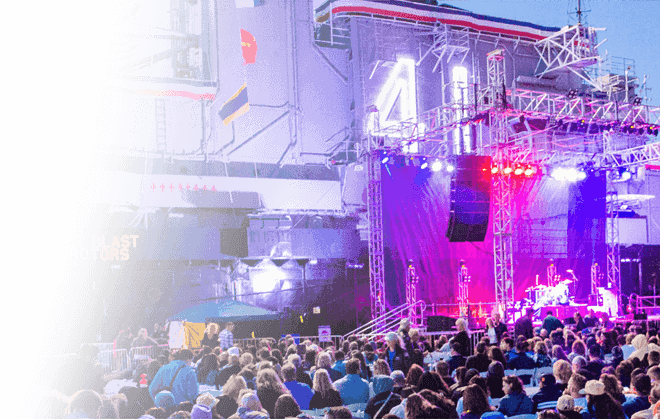 If a client would like the Photo Center for an event outside of normal operating hours, please email ussmidway@PhotoGenicInc.com or call (312) 836-5428. The Midway Gift Shop, called the “Jet Shop” can be open during an evening event and offers an array of specialty gifts, clothing, and memorabilia. A percentage of your purchase supports the Midway’s ongoing efforts to preserve America’s history and educate our youth. Imagine dazzling your attendees with fireworks rocketing off Midway’s bow! There is no better way to make a sparkling impression. Larger events may require fireworks to take off from a barge in the San Diego Bay. 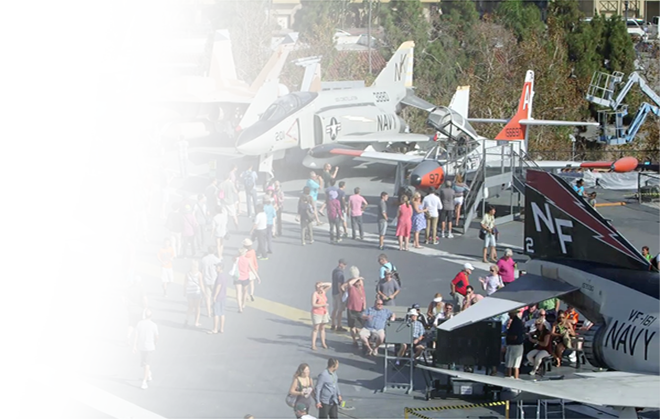 Dazzle your guests with thrilling and inspirational parachuting or aerial demonstrations above Midway! One skydiving company is permitted to operate at Midway events as a demonstration parachute team. Imagine a helicopter landing to kick off your event. Maybe a helicopter take-off as a dramatic end to your event! 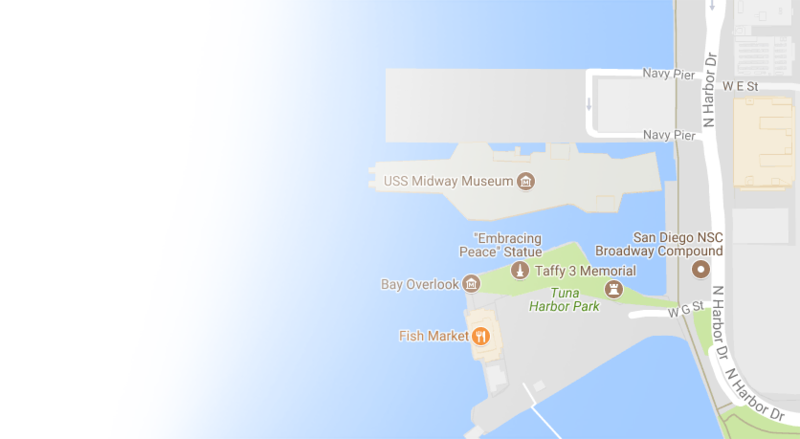 Either way, this enhancement is one of a kind, due to Midway’s unique venue. One helicopter landing or take-off only can take place on the bow of the flight deck. Midway offers a variety of riveting guest speakers who can connect Midway’s fascinating legacy to any event. This is a great way to kick off the evening for your guests, setting the stage for what surely will be a once-in-a-lifetime memory. 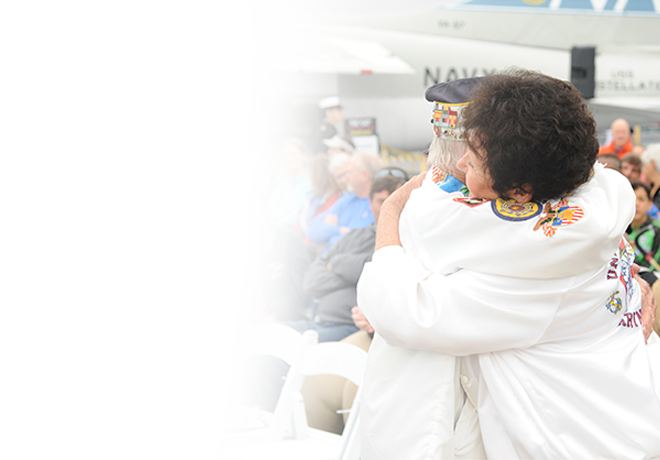 Modestly prices copies of a Midway hardcover souvenir photo book, Midway Memories, are available to extended the “shelf life” for your event for years to come.